West, Ian M. 2019. 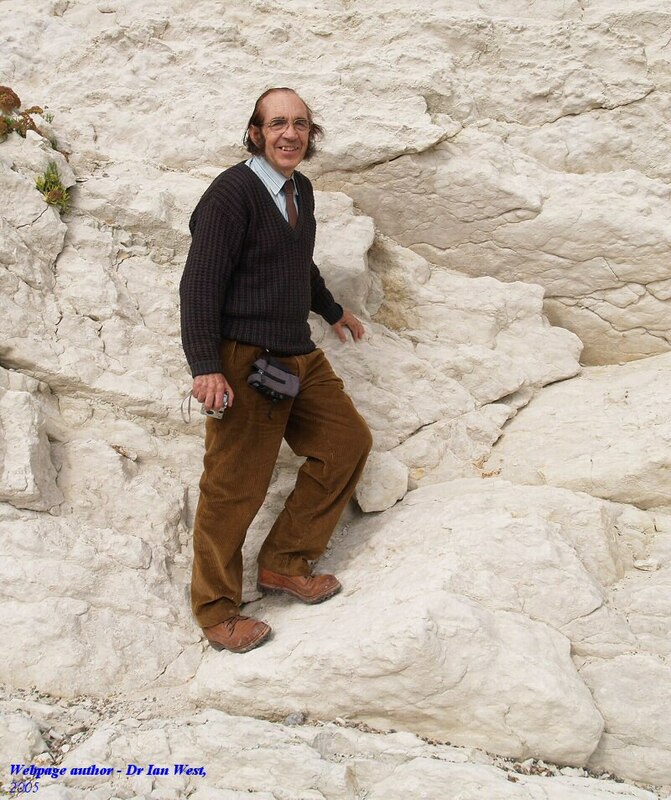 Geology of the Wessex Coast (including the UNESCO World Heritage Jurassic Coast and the Isle of Wight and part of East Devon) - Home and List of Webpages.Geological Internet site: http://www.southampton.ac.uk/~imw/index.htm. Revised Version: 24th January, 2019. Dawlish to Teignmouth cliffs, including the coastal railway line. Teignmouth to Dawlish, with sea-wall and railway line. 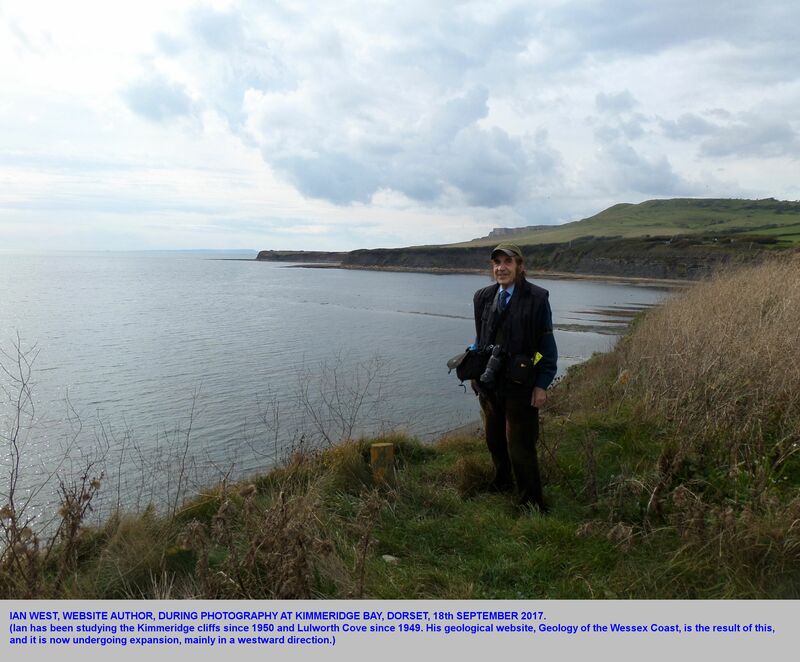 Kimmeridge - Bibliography - Start - Main Part. 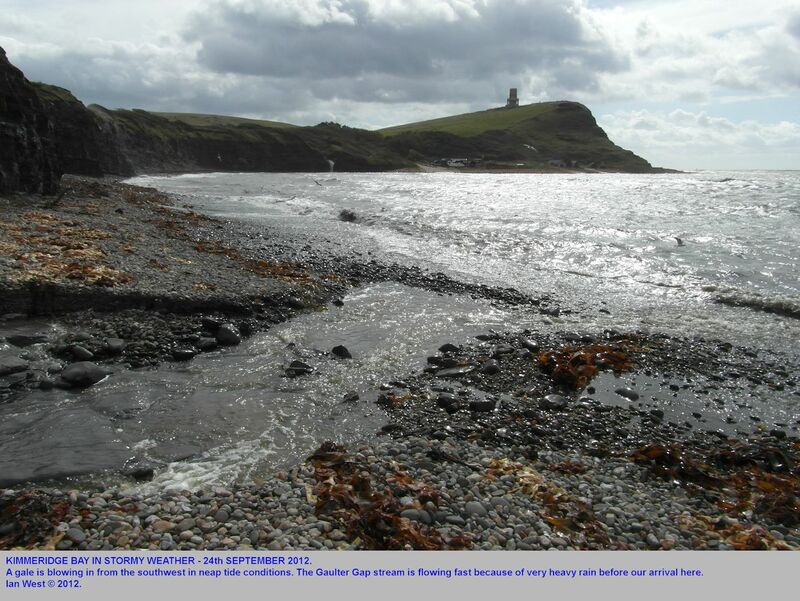 OSMINGTON, RINGSTEAD AND WHITE NOTHE, CORALLIAN, KIMMERIDGE AND CRETACEOUS. Poxwell Quarry and Poxwell Anticline . Poxwell Quarry and Poxwell Anticline - Details . Purbeck - Durlston Bay - Lower Purbeck Group. 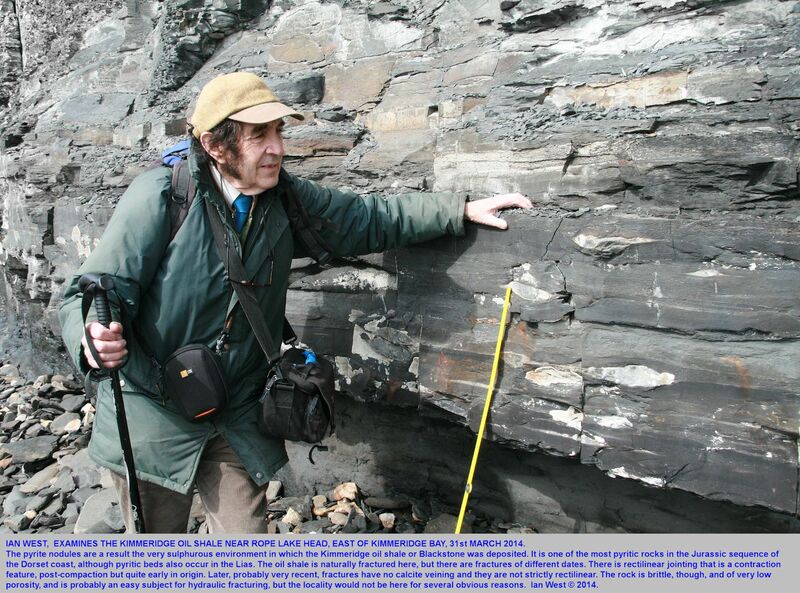 Purbeck Group - Geological Bibliography - Topics, Alphabetic. Hurst Spit, Geomorphology and Rocks. Studland - Peninsula - Poole Harbour Side, Tertiary and Pleistocene. Harry Rocks to Ballard Point - Geology, Chalk Cliffs. Durlston Bay, Middle Purbeck Group. Durlston Bay - Lower Purbeck Group. Swanage - Durlston Bay - Central Zigzag Part, Purbeck Group. Swanage - Durlston Head - Lower Purbeck Group & Portland Stone. Swanworth Quarry, Worth Matravers, Portland Stone. Dancing Ledge and Adjacent Coast. Anvil Point to Blackers Hole, Portland Stone. Ridgway Railway Cutting and Weymouth Relief Road. Sabkhas - Select Bibiography of Sabkhas, Salt Lakes and Evaporites. 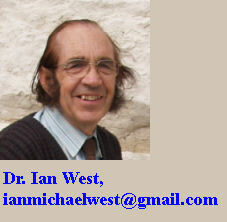 Publication List of Ian West. 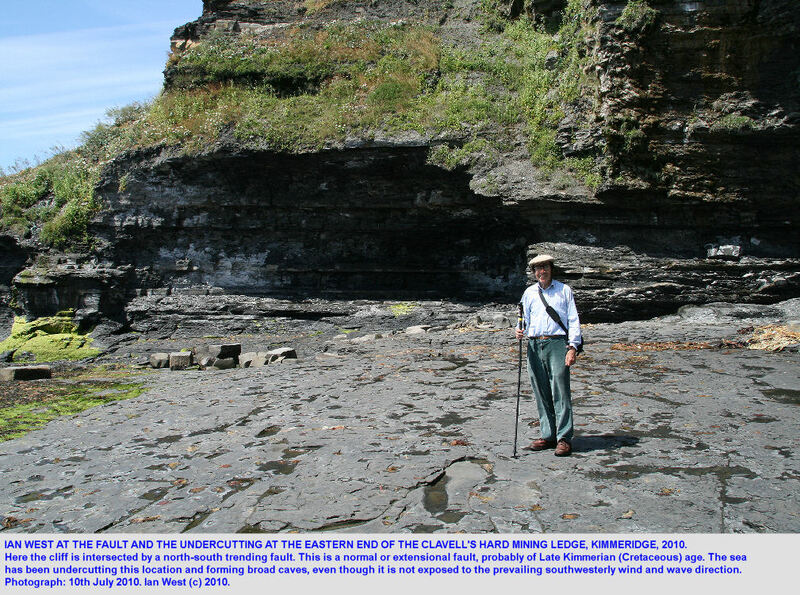 Review of Evaporite Diagenesis in the Purbeck Formation of Southern England. 1979. Detrital Portland Chert and Limestone in the Upper Purbeck Beds at Friar Waddon, Dorset. This is the first page of a large set of Geological descriptive pages on the Wessex Coast of southern England, much of it a UNESCO World Heritage Site ("Jurassic Coast"). This is a classic area of East Devon, Dorset, Hampshire, West Sussex and the Isle of Wight. These geological webpages form one of the world's largest geological web sites with more than 100 separate web pages. The first versions were placed online in 1997 and they are improved and enlarged on a daily basis. There are now thousands of full screen, colour photographs of varied geological and geomorphological features and there are also associated geological bibliographies. The text in each webpage has linked references to the appropriate bibliography. 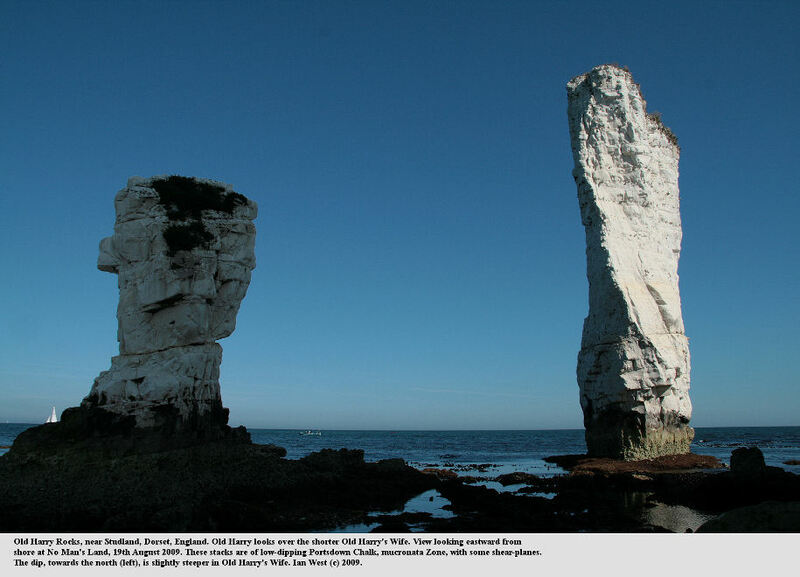 The study and descriptions have emphasis on the superb coastal exposures of Dorset, Hampshire and the Isle of Wight. Triassic, Jurassic, Cretaceous and Palaeogene strata are well-seen in the cliffs of this beautiful coastline. The various localities, many of them well-known classic sites, are described in terms of stratigraphy, sedimentology, geomorphology, faunal content and coast erosion and progradation, in addition to general background information on the environment. In additional there are some associated webpages on other specific geological topics such as sabkhas and Pyrenean geology. A search entry box will be found below. This site has very heavy use - more than half a million requests per week, including each photographic image. Thus, it is no longer necessary to keep any records of use, and there is no objective in obtaining additional visitors, although they are, of course, very welcome. The main aim is to improve the quality of the site academically for existing users and to provide an even greater quantity of detailed and reliable geological information. Some safety guidance and safety warnings are given in specific webpages. These warnings are not comprehensive and may not be sufficient for all types of groups visiting the coast. The objectives of the website relate primarily to field work by geologists, researchers, university students, visiting groups or scientific societies and the safety warnings are intended primarily for these types of visitors. This website is frequently used by schools and such use is welcomed. However, some field localities, cliff sites etc, which are commonly visited by geologists may be unsuitable in terms of safety for school parties or individual children, and the website is not specifically planned as guidance for this type of field use. It is hoped that schools and school parties find it useful, but more stringent safety rules may be needed in the field (the author has experience only of leading university, society and oil company parties). Thus this is primarily a geological website for geologists, but it is intended also to be useful for other purposes, including information for general visitors and school parties. . The technical level of the website is not at mathematical research level, but only at intermediate geological level, easily readable by anyone with a degree in geology, equivalent amateur experience, or just a geological interest. The Dorset and East Devon Coast World Heritage Site is England's first natural World Heritage Site - it is known as The Jurassic Coast. It covers 95 miles of coastline from East Devon to Dorset, with rocks recording 185 million years of the Earth's history. Large-scale, vertical, aerial photographs of the Wessex Coast are available free for downloading to persons who register with this organisation. In addition there is much more technical information, such as Lidar and Multibeam Bathymetry. This is a highly recommended website. The following notes are from the Channel Coastal Observatory website. "..The Channel Coastal Observatory is the data management and regional coordination centre for the Southeast Regional Coastal Monitoring Programme. The programme provides a consistent regional approach to coastal process monitoring, providing information for development of strategic shoreline management plans, coastal defence strategies and operational management of coastal protection and flood defence. The programme is managed on behalf of the Coastal Groups of the Southeast of England and is funded by DEFRA, in partnership with local Authorities of the southeast of England and the Environment Agency. The Channel Coastal Observatory is hosted by New Forest District Council, in partnership with the University of Southampton." 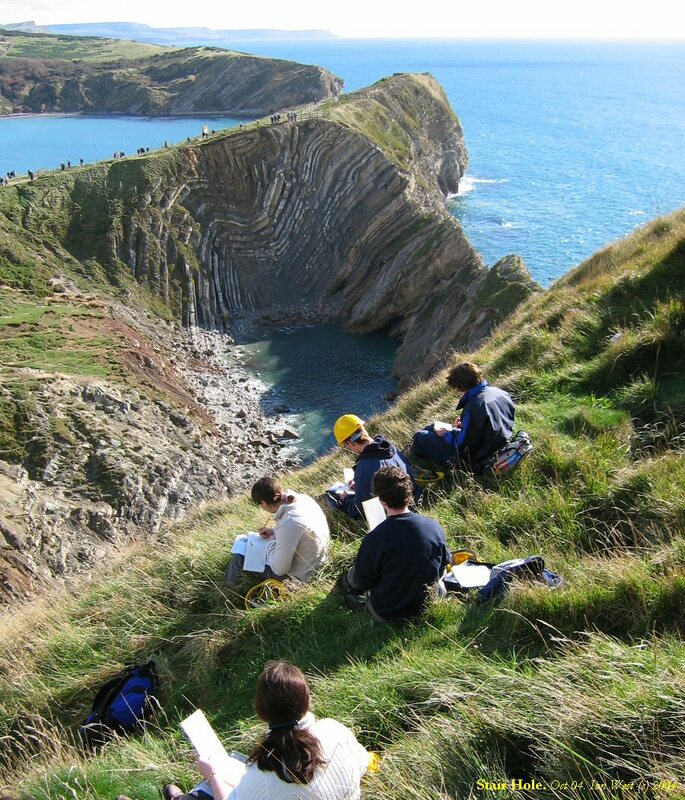 This very active, local organisation holds field trips and lectures in Dorset and surrounding areas. These is not necessarily limited to famous locations but also to less well known coastal and inland areas. They are involved in many other activities, such as keeping local records, and these are listed on their website. Their Newsletter, which is online, contains reports on field trips. Exmouth to Milford on Sea 1800-2000 (including the East Devon and Dorset World Heritage Site). 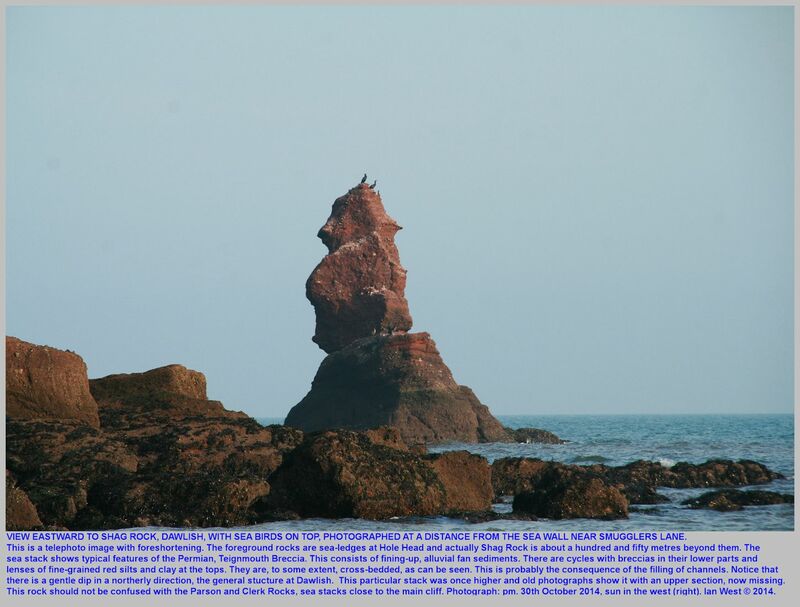 by Doreen Smith of the Dorset Group of the Geologists' Association. UK Onshore Geophysical Library . This is the major source of onshore seismic data for the UK, including that of the Wessex Coast area, suc as Devon, Dorset, Hampshire and the Isle of Wight. "With over 75,000km of available seismic survey data as acquired by the onshore exploration industry, the Library strives to locate all available data items pertaining to each seismic profile, with the aim of providing a fully reconciled archive of original pre-stack field records de-multiplexed to SEG-Y." Shown here is a north-south seismic section across the Weymouth Anticline, modified and with some notes added. See the original seismic section by going to the website: UK Onshore Geophysical Library. DIGS, 2009. The Purbeck Limestone Group: Virtual geology field trips to Purbeck limestone quarries in south Dorset. CD. For more details see: DIGS in the Purbeck Group Bibliography. Gesource: geography and environment gateway for UK HE and FE. GEsource is the geography and environment hub of the Resource Discovery Network (RDN). GEsource provides access to high quality Internet resources for students, researchers and practitioners in geography and the environment through five distinct subject gateways: Environment, General Geography, Human Geography, Physical Geography, and Techniques and Approaches. Wessex Hang Gliding and Paragliding Club. "Eye in the Sky" - superb oblique aerial photographs of the Wessex Coast. See Home Page of Wessex Hang Gliding and Paragliding Club. I am very grateful to the many people and organisations who have helped in one way or another to make it possible to run this website. Individual acknowledgements are given in particular webpages on specific places. Southampton University has supported this site over the years. I particularly thank the Head of the School of Ocean and Earth Sciences, the Dean of the Faculty of Natural Science and the Environment, Professor Jonathon Bull, Professor Max Barton, Dr. Ian Croudace and others who have helped keep the website running. I particularly thank Frances Bradbury for regular help over the years. I very much appreciate the cooperation of the Channel Coastal Observatory in making available excellent aerial photographs of the region of study. I particularly appreciate the generous cooperation of iSolutions, Southampton University. Mark Watts of Computer Services of Southampton University is particularly thanked for solving a problem of image files that I had temporarily lost in July 2016. It is very good to know that this website is backed up on tape by computer services, in addition to my various personal, external hard drive backups. My wife and family have assisted in many ways and their help is greatfully acknowledged. , Southampton University, and iSolutions (computer services) Southampton University. These webpages have been written with the generous background support of Ian's daughters, Tonya Loades and Joanna Bentley, and this is very much appreciated. Ian West has been awarded the R.H. Worth Prize for 2008 of the Geological Society of London for this website, the Geology of the Wessex Coast, of which this webpage is the introductory part. Agents and assistants regarding this website are: Tonya West, Newbridge, Hampshire, email - tonyawesty@hotmail.co.uk (copyright and photography agent), and Joanna Bentley, Albrighton, West Midlands. COPYRIGHT REGULATIONS REGARDING THIS WEBPAGE AND THIS WEBSITE. Copyright © 2018 Ian West, Tonya Loades and Joanna Bentley. All rights reserved. This is a private, academic website intended to be useful for research, reference and educational purposes. Images and text may not be copied for publication or for use on other websites, without permission, or for any commercial activity. A reasonable number of images and some text may be used for non-commercial, non-charged, non-online and non-published academic purposes, including field trip handouts, student projects, dissertations etc, providing the source is acknowledged. All images so used must contain the original caption, including the copyright statement. Some images are not those of the author and the copyright is that of the original photographer and these are not for any use without specific permission from the source photographer. This particularly applies to aerial photographs, but also to some sets of field photographs. Disclaimer: Geological fieldwork involves some level of risk, which can be reduced by knowledge, experience and appropriate safety precautions. Persons undertaking field work should assess the risk, as far as possible, in accordance with weather, conditions on the day and the type of persons involved. In providing field guides on the Internet no person is advised here to undertake geological field work in any way that might involve them in unreasonable risk from cliffs, ledges, rocks, sea or other causes. Not all places need be visited and the descriptions and photographs here can be used as an alternative to visiting. Individuals and leaders should take appropriate safety precautions, and in bad conditions be prepared to cancell part or all of the field trip if necessary. Permission should be sought for entry into private land and no damage should take place. Attention should be paid to weather warnings, local warnings and danger signs. No liability for death, injury, damage to, or loss of property in connection with a field trip is accepted by providing these websites of geological information. Discussion of geological and geomorphological features, coast erosion, coastal retreat, storm surges etc are given here for academic and educational purposes only. They are not intended for assessment of risk to property or to life. No liability is accepted if this website is used beyond its academic purposes, particularly with regard to matters of risk to life or property.